As dreamy as pearly-white snow can make your backyard look, its every drivers nightmare. All it takes is one light snowfall for your 20 minute commute to push the one-hour mark, not to mention the danger of driving in these conditions. 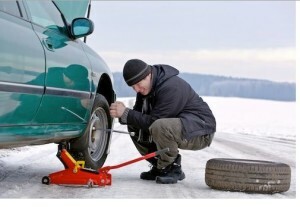 Winter weather can be especially dangerous if your drive a rear-wheel drive. While rear-wheel drive technology is certainly more advanced than it used to be, there are still some implications you should be aware of if you drive a rear-drive car. Check out Quirk Pre-Owned, one of the leading used car dealers in MA, to learn more about driving safety tips for the winter season. Put weight in the back, bags of sand, cinder blocks, etc. Go easy on the gas; start in a higher gear to avoid wheel spin. Limit your braking to a straight line. Avoid braking and cornering at the same time. Keep it slow, increase following distances and use your lights whenever it’s snowing, even during the daytime. Feather the brakes and gas lightly and use small, gentle movements with the steering wheel. From a dead stop, skip directly to 2nd gear to avoid spinning wheels. Thanks to advancing technology, rear-drive vehicles aren’t nearly as much as a problem in the winter weather as they used to be. It’s important to take extra precaution, though, just in case. A solid rule of thumb is to slow down-this goes for driving all types of vehicles in the winter. It’s worth adding a few extra minutes to commute if it can help to prevent an accident that could potentially cost you thousands of dollars, or your life. Visit Quirk Pre-Owned, one of the leading MA used car dealers, to learn more about how to reach your destination safely in a rear-drive vehicle this winter.